Lawford's group, ACORN Canada (a group lobbying on behalf of low-income households) and two seniors' organizations — CARP and the National Pensioners Foundation — told the hearing Canada needs a national sales practices code for telecommunications firms that lays out clear guidelines for what their salespeople can and can't do. The groups say there should be severe limits on door-to-door canvassers and the use of free hardware, such as phones or tablets, to lure new clients. Lawford warned commissioners that older Canadians are particularly vulnerable to door-to-door sales pitches because they may feel uncomfortable with turning away a persistent salesperson. "When persistence becomes aggression at the door, they may even sign a contract or agree to a purchase because they are fearful, rather than interested in the product," he said. G​isele Bouvier, of ACORN Canada, told the hearing low-income Canadians are also at risk when it comes to high-pressure sales tactics. "They already pay too much of their budgets for unaffordable service. They cannot afford salespeople who do not listen and sell them more than they need," she said. "No one can budget for being misled into a bad deal." In addition to a new sales code, the groups urged the CRTC to impose a 15-day 'cooling off period' on all consumer contracts with telecommunications firms. Lawford said that would allow customers a way out if they have second thoughts or if they feel the company was out of line or is not delivering what it promised. "The consumer doesn't have to give any reason," Lawford said. "If ... somebody else comes in the household and says, 'Oh my god, you signed that? What did you do?' - it doesn't matter. That helps cover a lot of these cases where there has been a very grey area, a sale that the consumer regrets." The groups say they would like to see Canada eventually move to a model of consumer protection at work in Australia. That country's Telecommunications Consumer Protections Code provides a wide range of protections for phone and internet customers and lays out guidelines for companies when they deal with customers. Earlier Tuesday, the CRTC heard from Aging Communications Technologies (ACT), a Montreal research project headed by Kim Sawchuk, a professor in the Department of Communications Studies at Concordia University in Montreal. 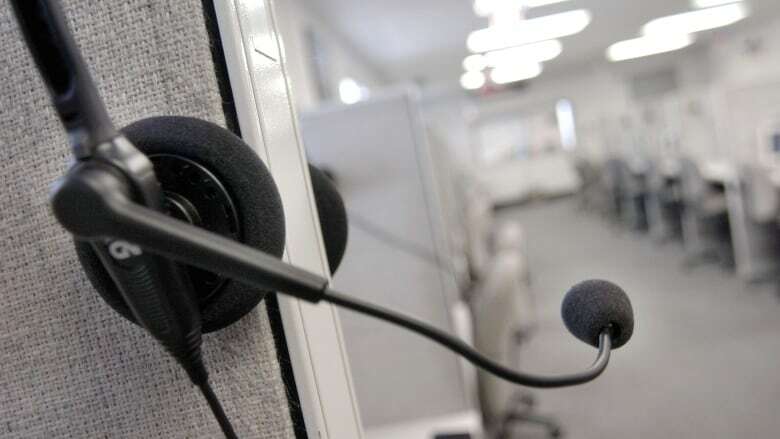 Sawchuk told the hearing her group has conducted interviews with more than fifty seniors and found that about three-quarters of them complained of being pressured or misled by telephone cable and internet companies. Despite the small sample size, Sawchuk said she believes the problem is widespread. "We're fully confident that our findings are pointing to a very serious problem in Canada that is under-reported but which is also unacceptable," Sawchuk said. Anne Caines, another ACT member, went further, calling some telecommunications firms' sales tactics abusive. "Lying to seniors or pressuring seniors to get them to enter contracts, or to purchase services they don't need, is a form of elder abuse," Caines said. She and Sawchuk urged the CRTC to impose a 60 day grace period on cable, phone and internet contracts. They also called for a ban on commission-based sales by companies and fines for firms that use aggressive or misleading sales tactics. The CRTC is holding five days of hearings. Commissioners already have listened to a steady stream of complaints about Canada's cable and internet providers. Those companies will have a chance to defend themselves later in the week. Representatives of several firms, including Rogers, Bell, Telus, Videotron, will appear to make their case. The companies have long argued aggressive or misleading sales practices are the exception and not the norm. They also contend that if consumers have any grievances about contracts or services, they can take them to individual companies, to various provincial agencies or to national bodies such as the Commission for Complaints for Telecom-Television Services, the Competition Bureau or the CRTC.